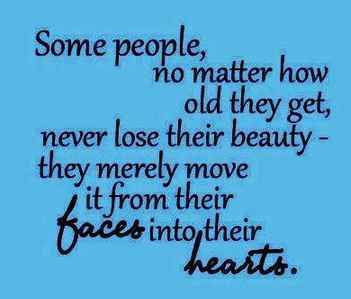 Over the years I have met many people who have left a lasting impression on me. 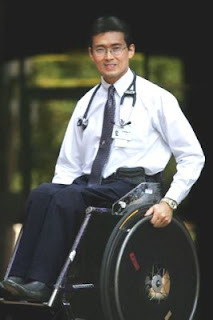 Right at the top of my list of most inspiring people has to be Dr William Tan, 53, neuroscientist, medical doctor, wheelchair athlete, Guinness World Record holder, and human being extraordinaire. Some of his academic credentials include First class honours in Physiology, Harvard University Fulbright scholar, and Oxford University Raffles scholar. He has also trained at world-renowned Mayo Clinic in the US. 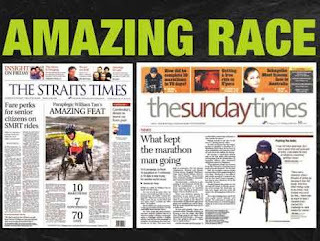 Much has been written about the man and the challenges he overcame from the age of two when he was stricken with polio to his incredible feats of endurance in completing almost 100 marathons to date. In 2007 Dr Tan became the fastest person in the world to complete 7 marathons across 7 continents in 27 days. 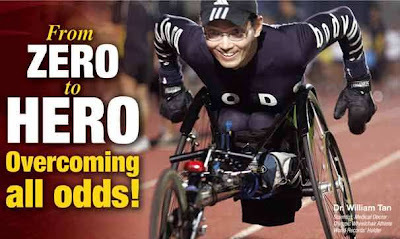 This man truly personifies perseverance, the Will in willpower. Click here to read more about the feat. Dr Tan has leveraged on his marathons to help raise more than $18 million for charities locally and internationally over the last 20 years. Now in a twist of fate, Dr Tan is in need of financial and moral support to fight his battle against cancer. In April 2009, he was diagnosed with chronic lymphocytic leukemia. Since then he has been through months of expensive chemotherapy and immunotherapy treatments, and recently underwent bone marrow transplant. 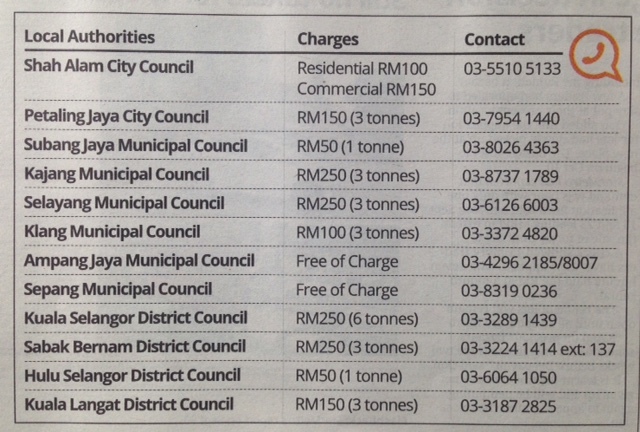 ~ Donate to The Dr William Tan Fund. Click here for the form. 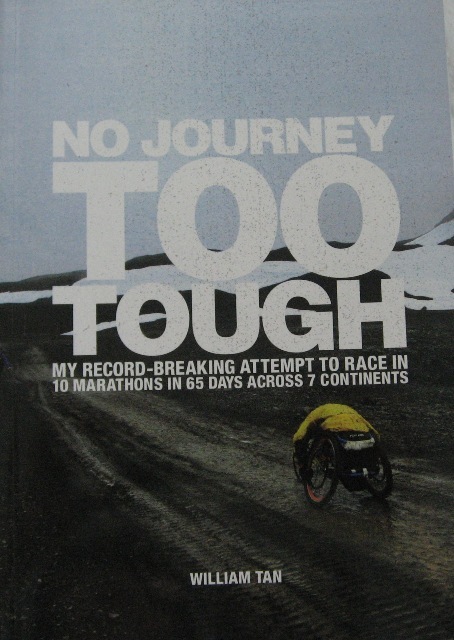 ~ Purchase Dr Tan's book "No Journey Too Tough". ~ Contact Dr Tan for a speaking engagement. "All of us have a race to run. It can be very challenging but we must not give up because no journey is too tough. With WILLPOWER UNLEASHED, we can overcome the odds and turn adversity into advantage and dreams into reality!" 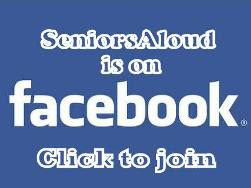 Visiting SeniorsAloud is like meeting a galaxy of Who's Who of healthy Malaysian seniors! All the big names seem to be here, except mine (haha, just kidding!). In my cursory research on the subject of aging well and "well-agers," I've read about some of them but not all. Here I get to meet more to help inspire me to feel in good company, the company of seniors who take care of their health and fitness. 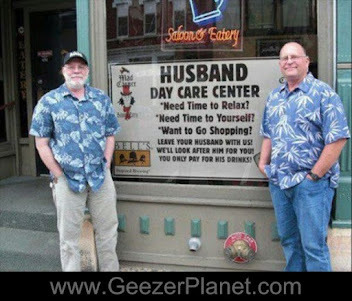 Do take a look at what I'm doing with my age - 64 - at zveloyak.blogspot.com. Thank you.